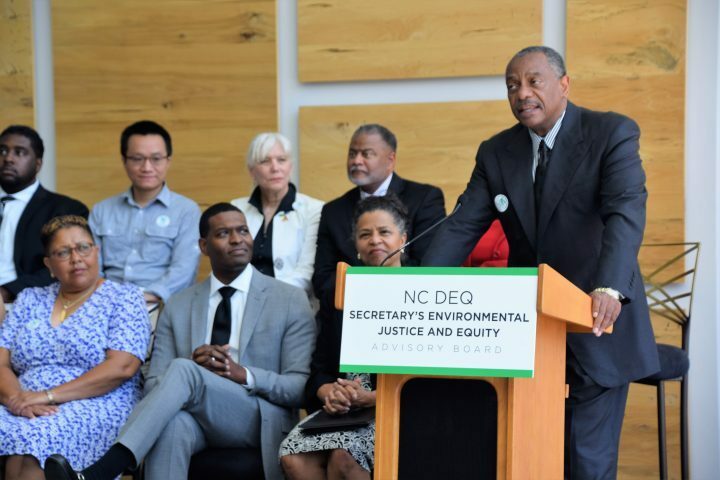 RALEIGH – A newly created panel will help change the way the state approaches and integrates environmental protection and social justice, Department of Environmental Quality Secretary Michael Regan said Wednesday. Regan introduced his 16-member Environmental Justice and Equity Advisory Board during a ceremony in Green Square. The open, sunlight-filled space is in what he called “the people’s environmental house,” the DEQ headquarters on West Jones Street. Regan said those tough issues include GenX, landfills, coal ash and animal feeding operations. 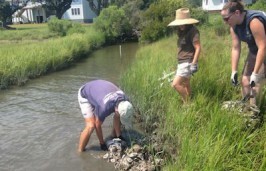 Veronica Carter of Leland, a member of the North Carolina Coastal Federation’s board of directors and a 20-year Army veteran, is one of the new board’s members. Carter, whose interest in environmental justice was fueled about 15 years ago by a proposal to build a 750-acre landfill near her then new home in Brunswick County, said there is a need for environmental justice on North Carolina’s coast and across the state. The human aspect was something that Regan said had been diminished in his department’s mission under the previous administration, which sought to frame the agency as more business-friendly. 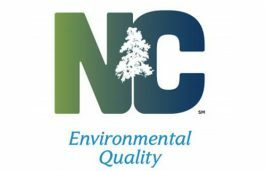 He said DEQ’s new mission statement is to provide science-based environmental stewardship for the health and prosperity of all North Carolinians. That’s not just a feel-good exercise but an achievable goal, Regan said, adding that all state residents should have the same access to a healthy and prosperous life. 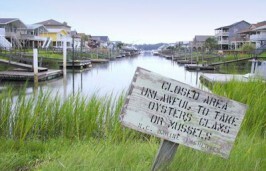 “That means clean air, clean water and protections from the harmful impacts of climate change, whether that be sea level rising or more frequent and intense storms that leave our most vulnerable populations at a higher risk, or ensuring the jobs and the economic security of a better educated, cleaner and healthier future is available for those in our rural and poorest communities,” he said. Regan said environmental protection and economic prosperity are not mutually exclusive but go hand in hand. “This mission for me is just as much personal as it is professional obligation,” he said, adding that his beliefs were based on his personal faith and upbringing. Members of the advisory board share that vision, Regan said. “The good news is, we are not starting from scratch, folks. 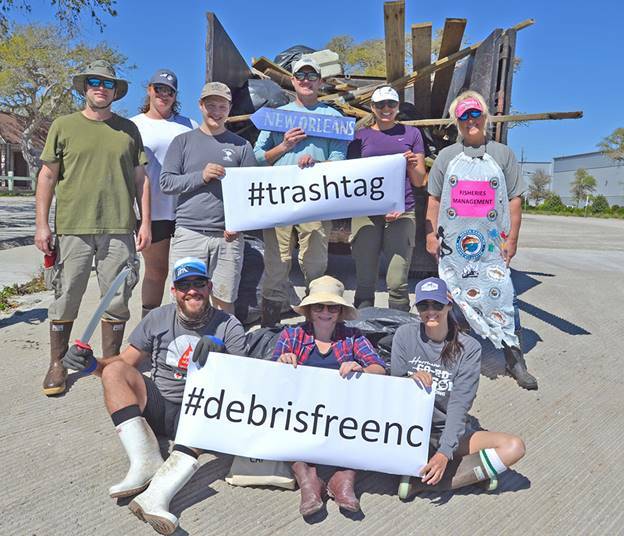 This is in North Carolina’s DNA,” Regan said, referring to a battle in Warren County in 1982 in which hundreds of residents were arrested in a long, unsuccessful fight against a state landfill for cancer-causing PCBs in their predominantly black community. Regan said members of the DEQ staff are also members of the communities they serve. He said the agency also cares deeply about diversity and has been working to diversify the staff to reflect the state’s communities and their interests. James Johnson Jr. of Chapel Hill, professor of strategy and entrepreneurship and director of the Urban Investment Strategies Center at the University of North Carolina’s Frank Hawkins Kenan Institute of Private Enterprise, is the advisory board’s chairman. Johnson said during the ceremony that the panel’s work was about maintaining and enhancing North Carolina’s competitiveness in a global marketplace. 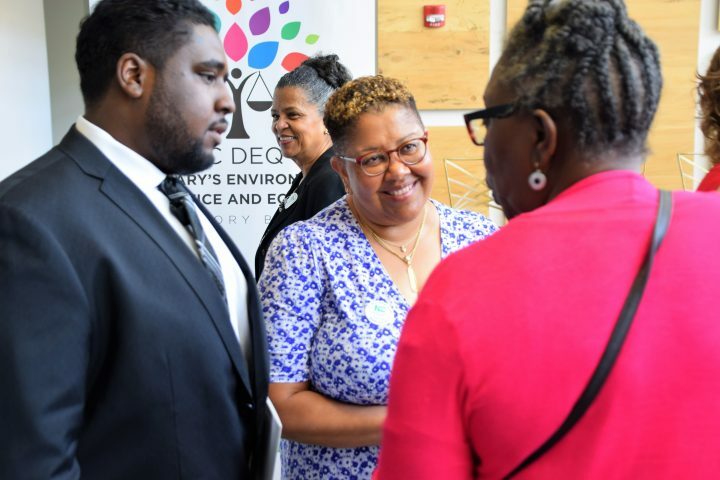 Johnson said communities that brand themselves as sustainable places must strive to protect the environment and natural resources, adhere to principles of social justice and equity and return shareholder value. “From a global perspective, sustainability is about the planet, people and profits. It is indeed possible to do good and to do well at the same time,” he said. Vice Chair Marian Johnson-Thompson of Durham, a retired biology and environmental sciences professor at the University of the District of Columbia and adjunct professor in the School of Public Health at UNC, explained that the underserved and underrepresented have been overly affected by negative environmental influences and the advisory board reflects a new seriousness in the state’s approach. 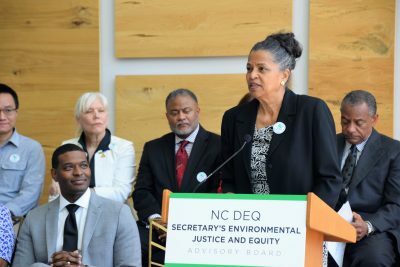 “To have an appointed state committee consisting of such a diverse group of individuals representing racial and ethnic minorities, environmental and health scientists, health professionals, clergy, academia, the legal community, underserved groups, activists, policymakers, educators and private sector representatives is indicative of our state’s leaders’ commitment to addressing environmental justice inequity,” she said. How the board may function when it comes to actual policymaking remains unclear, but Carter said the move opens the lines of communication for people whose voices may have been drowned out in the past. James Johnson Jr. of Chapel Hill – Chair. Marian Johnson-Thompson of Durham – Vice Chair. Danelle Lobdell of Chapel Hill. Naeema Muhammed of Rocky Mount. Randee Haven O’Donnell of Chapel Hill. Jeff Anstead of the Haliwa-Saponi Indian Tribe, Warrenton. Joseph Owle of the Eastern Band of Cherokee Indians, Cherokee. Rodney Sadler Jr. of Charlotte. William Barber III of Durham.